On Radio station 1200 AM, John Mason, of Mason in the Afternoon, was asking for positive reflections and comments about one’s father, grandfather or a father figure. One reflection, by a man who called into the radio station to comment, touched my heart. He stated that his father taught him many things by his actions. He said he learned how to be a father and the protector of his family from his father. “When I was about 7 years old I went “trick or treating” on Halloween with some friends”, said the caller. “ A bigger boy stole our bags. All I could remember was seeing a flash go by and jump the fence. Next thing I knew I had my Halloween bag back. It was my father who jumped that fence. He had been watching and covering me all the time”. That story brought tears to my eyes because the actions of the father symbolized the love the heavenly Father has for us in that he watches over us and protects us. For the now grown caller it taught him how to watch over his family. Another gentleman called in and stated he “learned how to respect women because of how he saw his father respect and treat his mother”. The week prior to Father’s Day I challenged men and women to share positive comments and reflections about their father. Kimberly Bracey Superintendent of Sunday School, Minetta Hare, entrepreneur and missionary, and Renee Wallace ,known as the Chief Doer and strategist, shared some warm and loving comments about their fathers. Terrence Wilson, author of In Search of a Father wrote More Than A Provider and Bobby Ray Ivory, Jr., success coach and speaker, shared Five Things A Father Should Teach His Children. Author and wife coach, Venus Mason Theus shared how God healed a breached relationship with her father which has resulted in a wonderful daughter father relationship. Please leave your positive comment and reflections about your father, grandfather, stepdad or father figure. Lord in the name of Jesus, we thank you for fathers who love, train, provide for and protect their children. We pray that fathers will look to God as their ultimate spiritual father of their household, serving and caring for their children and families; we pray that absentee fathers would change their mindset and lifestyles to nurture a relationship with their children. We pray that the Lord will turn the hearts of the father toward their children and the hearts of the children toward their fathers. Malachi 4:6. 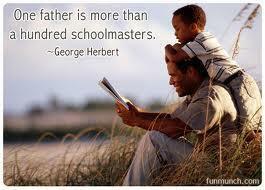 We pray that children will see the godly character of the heavenly Father in the lives of their dads. Lord we thank you that you are a Father to the fatherless and One who will never leave nor forsake us. Lord raise up fathers in the church and community to love, nurture, instruct and guide those in need of a father’s blessing. Lord turn the hearts of the fathers toward their children and the children toward their fathers. We pray for single fathers who are raising their children without a spouse to share the love and responsibility for their upbringing. Lord we pray about the disintegration of the family unit in our land, and ask God to restore the foundations both in and out of the church. Psalm 68:5-6; Proverbs 17:6 In the name of Jesus Amen. June is the month we celebrate Father’s Day. We honor and pray for fathers, who may not be perfect, but who love their children, train their children, protect their children and have good relationships with their children. We thank God for earthly fathers who are loving, kind, protective, and wise. I challenged men and women to make good comments and reflections about their fathers. Venus Mason Theus, author and marriage coach, shared how God healed and reconciled a breached relationship with her father and turned their relationship into a loving father daughter relationship. My relationship with my dad didn’t even begin until I was in my 30s. Our story could easily be a novel or a made-for-TV-movie. Adults sometimes make bad choices which cause children to suffer the consequences. But God is forgiving and longsuffering. 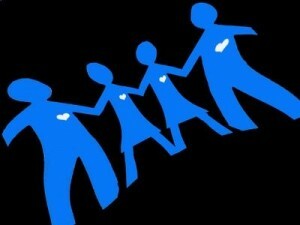 It pleases Him to repair broken hearts and reconcile breached relationships. He demonstrated His Fatherly love toward us by sending His dear Son Jesus to reconcile us to Himself through His precious blood shed on Calvary. I love the Lord dearly and I’m glad He is in my life. Thank God for healing and redemption. I also love and thank God for my biological father. I’m so grateful that our reconciliation came while the blood still runs warm in our veins. I would hate to be standing over my father’s grave with a painful heart full of guilt and regret. Perhaps this note comes to someone’s attention that has a strained relationship with their own father or a father with his children. Now is the time to get it right, tomorrow isn’t promised to any of us – once we’re gone, there are no do-overs. Holding grudges and making uninformed judgments are a waste of time, emotions and mental energy. If you feel your father or your child did you wrong, work on forgiving them and if possible even reconciliation. Seek God to help you move past the negative and allow yourself to cultivate your relationship. My mom and dad were not married when I was conceived. According to Mom, they had planned to get married but a family member was so against her that they influenced my father to call the wedding off. Mom, being the strong, independent woman, she was set aside her emotional pain and focused on raising a healthy child. The late 50s was not an era that embraced out-of-wedlock parenthood. In fact when I was born, mom says some hospital personnel tried to convince her to put me up for adoption but she wouldn’t hear of it. To this day my dad’s account of their relationship is very sketchy. What I do know is that their relationship ended before I was born and they never reconciled. My maternal grandparents helped raise me. My granddad was my father figure well into my adulthood. Although my paternal grandparents lived only about 4 blocks away from my childhood home, I rarely saw my dad in person. He had moved on with his life (as did my mother). He got married when I was 3 years old and visited me occasionally. I grew up hearing about my dad’s many successive educational and career accomplishments from my paternal grandmother. My dad was her “golden child.” I’d see photos on my grandparents’ wall of my half-brothers and sister, my dad and his wife – and yes, as aloof as they were toward me, my photos were among the others. The interesting thing is that I never missed having my dad around. My mom and maternal grandparents, even a stepfather for a brief time, made me feel loved and wanted. Whenever I visited my paternal grandparents, my granddad was friendly, but my grandmother only seemed to “tolerate” me. I never, ever felt welcome in their home. During the next year or so, my husband and daughters also began to bond with dad. Things remained somewhat awkward but everyone was trying. Oddly enough, the real breakthrough came when my paternal grandmother became gravely ill and was in intensive care. One day I stopped by my grandparents’ house to check on my grandfather. Just as I arrived he and my dad were getting into the car to visit my grandmother in the hospital. They invited me to join them and I did. My grandmother was unable to speak or sit up. She was hooked up to all sorts of apparatus but she could make gestures. The look on her face was “interesting.” My grandfather pointed to me and asked if she knew who I was. She nodded slightly in the affirmative. I can’t help but think that somehow when she saw me standing next to my dad, she felt her life had come full circle because it wasn’t long afterward that she passed away. The pre-funeral gathering at my grandparents’ house was filled with what had to be some of North Carolina’s most bourgeois black citizens. I heard whispers from the North Carolina Masons “that must be Tony’s daughter.” “She looks just like Hazel.” etc. My husband and I were amused by my sudden celebrity knowing that my grandmother had probably never spoken a word to them about me. The scene stealer was when my dad took me over to the little makeshift receiving line that one of my brothers and my only sister had formed. I guess there’s really never a good time or place to spring an unknown sibling on an adult offspring, but this is when my dad introduced me to them. Being the first born, I’d known about them all my life, but apparently they never knew I existed. My sister refused to shake my hand. My brother gave a stellar performance by acting as if he’d been introduced to one of dad’s business associates. At my grandmother’s gravesite there had been a slight mix-up with the burial plan my dad and grandfather had arranged so we had to wait until the cemetery personnel corrected the issue. The mourners (and the gawkers) had no choice but to stand around for about 30 minutes. Dad saw that as an opportunity to introduce me to my youngest brother. Can you say AWKWARD? Over the years Dad and I have grown as close as I think any father/daughter could be. Our starting point was in the 90s. I know that God never makes a mistake. Only He knows what life would have been like for all of us had my dad been in my life then. Now we love and trust each other. I don’t really know what he was like when I was a child. I only know that he is a devoted husband to his wife of 51 years, his faith in God is strong and the Tony Mason I know is a wonderful father, grandfather and great-grandfather. If I’d held onto grudges and continued to act upon the information I “thought” I knew about him, my entire family would have missed out on some very special times and memories we were able to make from the point where we bonded. He’s been there for my daughters’ special events, and has been an integral part of their lives. Since he wasn’t around to walk me down the aisle when I got married, he escorted me to the Mother-of-the Bride’s seat at my firstborn’s wedding. I look forward to spending many more quality years with my daddy. Exquisite teacher! A leader! Refreshingly transparent are among the words used to describe Venus Mason Theus. She is a sought after advocate for Christian marriage – coaching, teaching and encouraging other women that they too, can have a Joyfully-Ever-After Marriage. 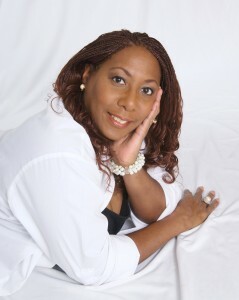 In her books, blogs and workshops, Venus candidly shares her own experiences – the trials as well as the triumphs. She is passionate about cultivating a community of what she calls “P31s” – empowered, yet nurturing women who know their value and operate within the purpose for which they were created. Venus is the author of Brown Paper Bag, a novel . Venus has also written articles for Gospel Today and Sister Talk magazines. She has made appearances on the CTN Live, Wake Up Detroit, Words- N-Motion, and Talk to Me With Brenda Perryman television shows. Venus is the founder and host of the annual Anointed Pen Conferences for Christian Writers and the Detroit chapter president of the American Christian Writers. Venus is a wife, mother of five, and grandmother. She has been married to the man of her dreams, Jerome “Rick” Theus, since 1985.